Even though the current version of iOS is compatible with 32-bit apps, there's a good chance that iOS power users have noticed warnings on their devices when trying to install them. Apple products prefer 64-bit applications, you see, and iOS likes to remind people of this with a notification stating that use of 32-bit apps may slow down the device, and that true compatibility would rely on an update from the developer. The latest beta build of iOS takes this notion even further. 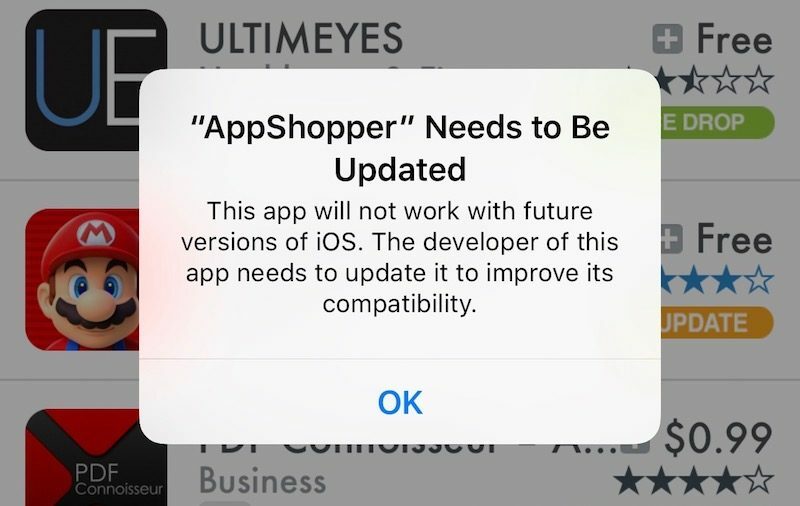 As of beta version 10.3, trying to install a 32-bit application will now pop a notification stating that 32-bit apps "will not work with future versions of iOS," warning that the app's developers will need to update the software to improve its compatibility. There is, of course, plenty of good news that users can expect from the new update: Apple has revealed that the new versionof the operating system will feature fewer pop-ups, a floating keyboard, and even a new feature designed to help users find their AirPods. Apple has its eye further in the future, too, having also recently invested in Vision Fund in the hopes of furthering technological investments.